Swap traditional french fries and ketchup at your next meal for these perfectly roasted sweet potato wedges with avocado aioli. Sweet potatoes are a quintessential fall ingredient, and in my opinion reign as one of the most versatile of all vegetables. They lend well to just about every recipe, savoury or sweet. 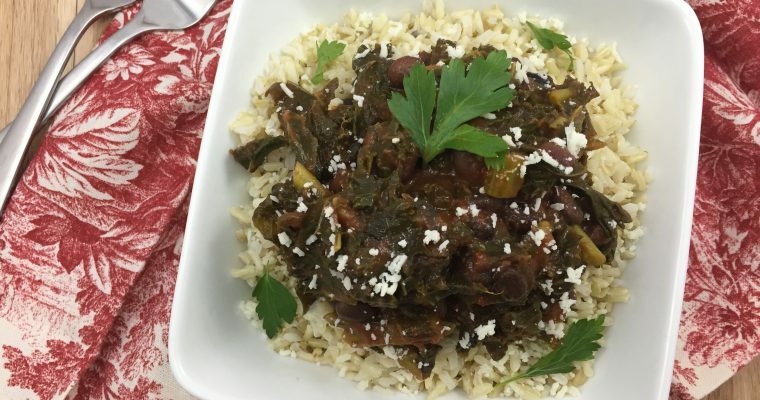 They always seem to find their way into my recipes, from vegetarian burgers, risottos and pastas, soups and stews, to homemade dips and even sweet treats and desserts. Albeit sweet potatoes are versatile, one of the best ways to enjoy them is all on their lonesome, especially when they’re roasted to sweet, caramelized perfection. My inspiration for this dish wasn’t actually a sweet potato, but rather a few on-the-verge-of-expiry avocados sitting in the crisper. As per usual, guacamole was my first option, but somehow the sweet potatoes sitting right next to them in the fridge inspired me to incorporate them into the mix. 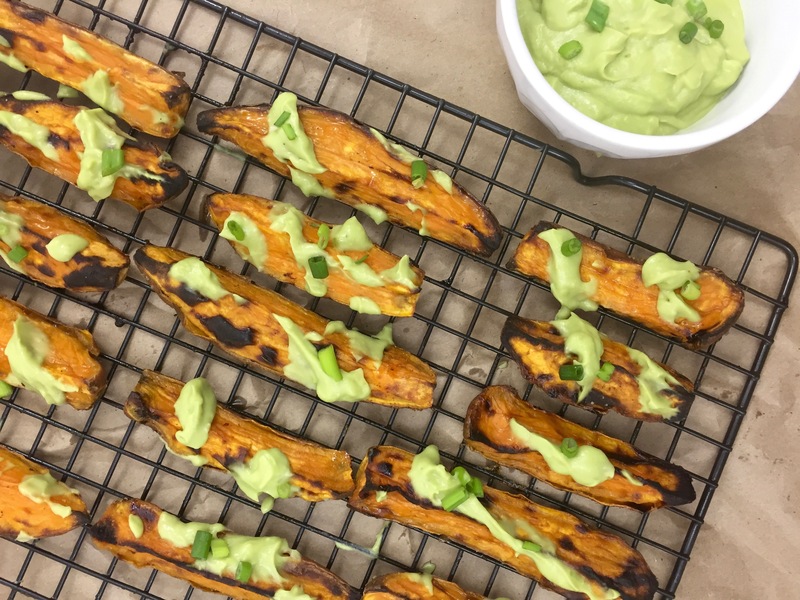 I was craving fries – and guacamole, so the result were these sweet caramelized sweet potatoes, garnished with an guacamole-ish aioli. The sweet creamy root veg combined with the tangy avocado aioli is the perfect combination of flavours. This is a tasty side dish to serve alongside any protein, or if you’re vegan or vegetarian you can enjoy these all on their own as a main – like I did. I ate every last one of them. Nothing wrong with a few sweet potatoes for dinner, especially if they’re this healthy and delicious. Chop the sweet potatoes into twelfths then place them in a large bowl. Add the olive oil and toss together until the sweet potatoes are fully coated. Place the wedges on a large baking sheet lined with parchment paper. Bake at 450 degrees for about 35 minutes (flipping over once halfway), or until browned and caramelized. In the meantime, combine the avocado, garlic, water, cumin, and olive oil in a small food processor and blend until smooth and creamy. Season with salt to taste then blend again. 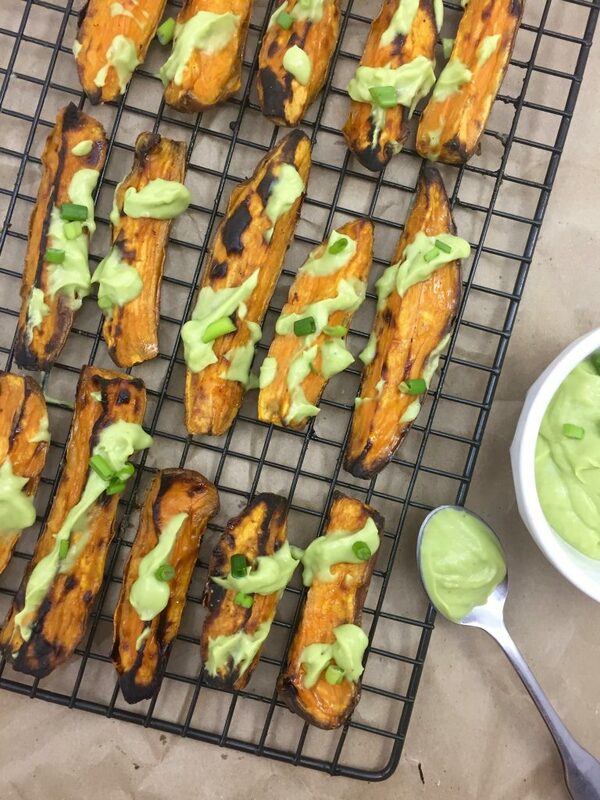 Drizzle the avocado aioli over the sweet potato wedges and garnish with chopped scallions, if desired. Ohh I have never tried avocado aioli! I usually have guac but this sounds incredible! Oh my goodness! These look SO delicious. I love anything with avocado, so I know I’d love these! This is an awesome twist on sweet potato wedges too. Definitely going to be trying these out ASAP! Thanks for sharing! Wow!! I love giving sweet potatoes a remix and this looks like a great recipe to do just that!! Perfect appetizer.. Perfect timing. I have the ingredients right in my fridge! I love both sweet and regular potatoes. I am thinking of making tater tots using sweet potatoes. I know it will be hit too. Your recipe would be a great side or appetizer for a small party. The aioli looks terrific too! Taters tots would work too – a great finger food for a party or for little hands to grab! This is a recipe I would definitely make because I love all of the ingredients. I also have never prepared sweet potatoes with avocado, but I see that they go together well. Great recipe for those overly ripe avocados! Whenever I have overripe avocados I either make an aioli, or a raw vegan chocolate pudding. These look so good. Perfect for a party. I love using sweet potatoes instead of regular potatoes for fries so this is totally my kind of side dish. That aioli looks so great too. YUM! Love me some avocado! We eat avocados only as a fruit or as toppings on desserts. 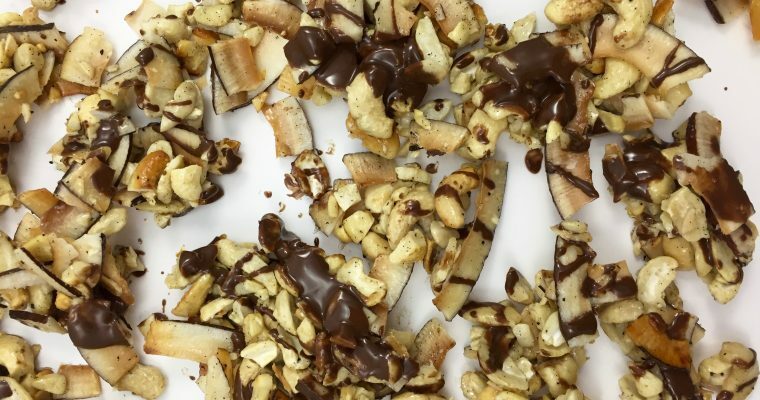 This is a great and creative recipe. I had never thought of a dish with avocados and sweet potatoes! Avocados are so versatile – they are great in savoury and sweet dishes! Oh wow, these look so terrific. I am definitely going to be trying these! I have actually never had aioli, so I am excited to try it for the first time. This looks soooo good! My husband and I BOTH love Aioli – him not so much avocado but I bet he would love this! Going to make it! Maybe you could add more garlic, so it tastes more like a traditional aioli?! Thanks for the recipe! I am always looking for new ways to make Sweet Potatoes and I never thought of avocado! Either had I…until I put this together, lol!